After leaving the Netherlands we went off to Belgium and I spent an enjoyable day looking round the battlefield at Waterloo. 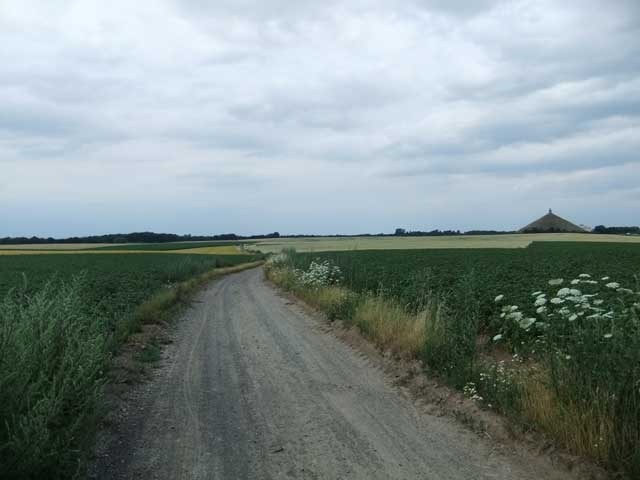 Parts of the battlefield are largely unchanged since the battle was fought, but other parts have been extensively changed, notably the right centre of the Allied position where the Belgians built a rather large monument, the Butte du Lion. 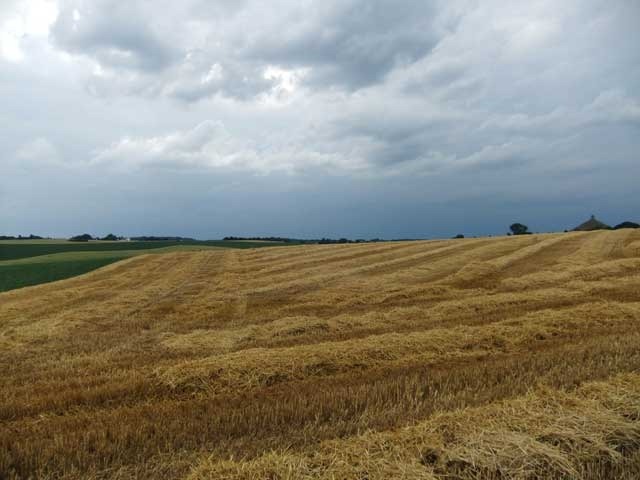 This can be seen from all over the battlefield and, at least in my opinion, spoils many of the views. But it does offer a superb vantage point if you can make it up the 226 steps. Alongside the Butte is the visitor centre and panorama. The visitor centre shows two films, both of which I found rather disappointing. One is a general history of the battle and campaign, the other is edited highlights of Sergeï Bondartchouk’s 1970 film, starring Rod Steiger and Christopher Plummer. The panorama, painted in 1912 to celebrate the centenary of the battle, depicts the French cavalry charge and is well worth a visit. The waxworks museum is extremely disappointing indeed. I did like the battlefield tour, which starts just outside the visitor centre. Converted trucks take visitors on a thirty minute tour round the battlefield, following the route shown on the map above and delivering a commentary on the way. The tour was rather busy and it’s not ideal for photography, so I got off and then went round once again on my bike, taking pictures from the spots marked in blue on the map above. 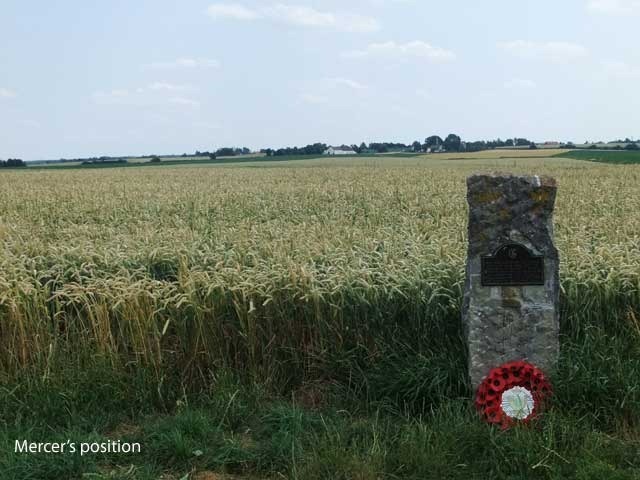 This stone marks the place where Mercer’s battery deployed on the right of the Allied line in the afternoon of the battle. 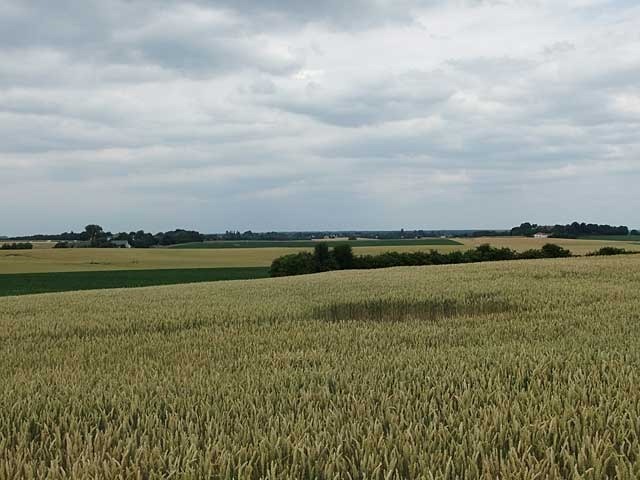 The picture was taken looking down the slope up which the French cavalry attacked, in the distance you can see La Belle Alliance. 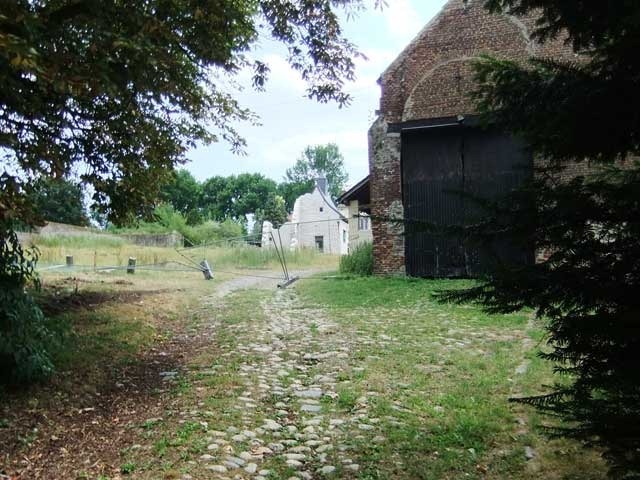 The North gate at Hougoumont. The farm is currenly being restored and you cannot get inside. There are works going on the couryard, which was closed to visitors. 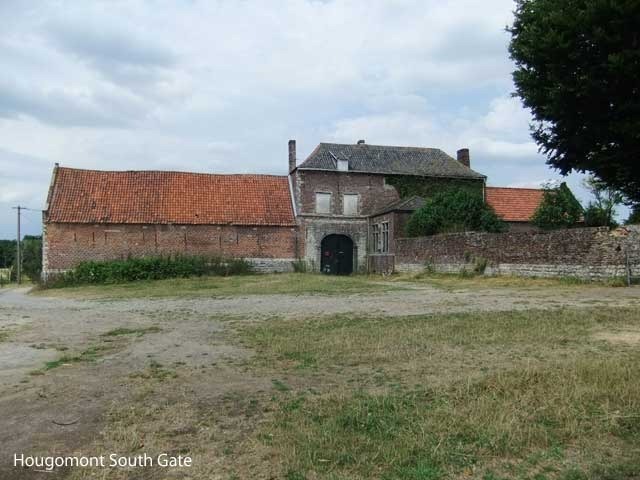 The South Gate at Hougoumont, you do not get to see this on the guided tour, but I went round the building on my bike. Looking from the bottom of the valley up to the Allied ridgeline. 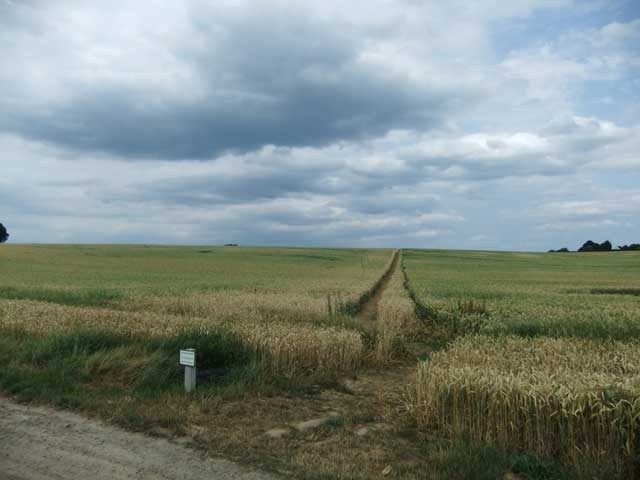 And the view towards the right of the Allied lines. This picture shows just how much the Butte du Lion impacts on the battlefield. 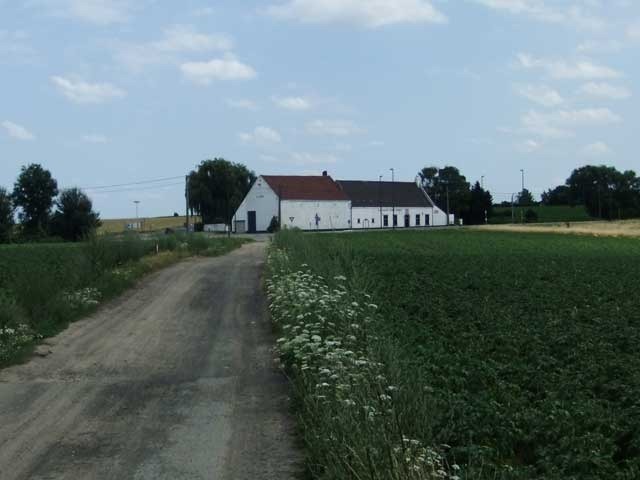 View from the right centre of the French lines. 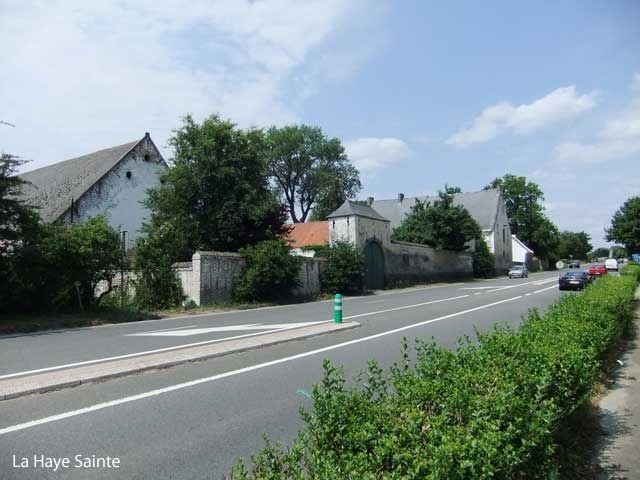 That’s La Haye Sainte on the left and the picture shows the ground over which D’Erlon launched his assault. Picture taken from just on front of the Allied right. You can see La Belle Alliance and the Butte du Lion in the distance. 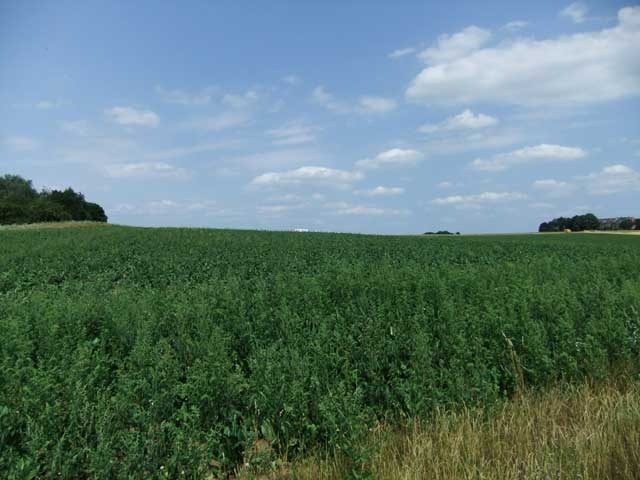 This picture was taken about a hundred yards to the east of La Haye Sainte looking up towards the Allied Lines. The woods on the left mark the location of the sand pit. This ground was fought over most of the day. 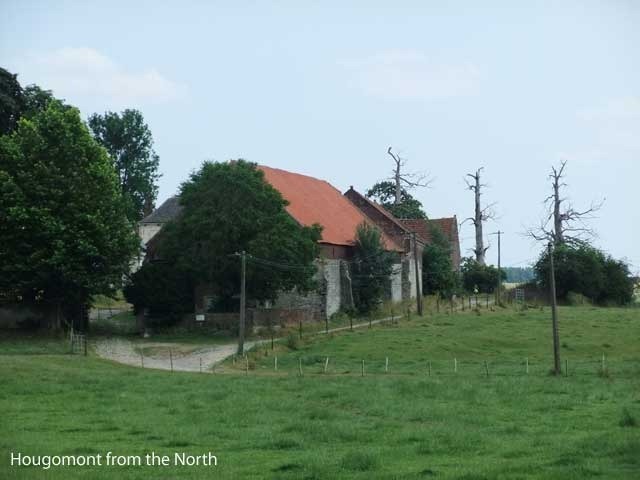 They might have Hougoumont restored by then. http://www.projecthougoumont.com/restoration.html Which would be good.